When Worship Central gather in His name, something happens. This album captures those moments where God ‘broke in’ and displayed His love for His people. 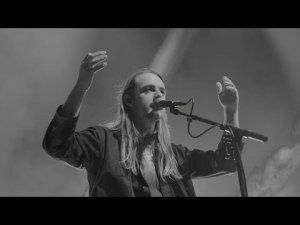 Recorded live at the inaugural ‘The Gathering’ conference, Birmingham, UK. Worship Central is a movement of worshippers who want to see the worship of Jesus Christ made central throughout our communities, local churches and the world. Their vision is for people to encounter God, for worshippers to be equipped and the Church empowered. Based in Birmingham, UK, they have trained, resourced and inspired worshippers all around the world since launching in 2006, with hundreds of thousands attending training events internationally and engaging with all the resources they have created. Worship Central has been well established in the UK for a number of years now. Not just as a group of worship leaders in a collective but as a more rounded vision to train and teach emerging worship leaders for the global church. Originally founded by Al Gordon and Tim Hughes from Holy Trinity Brompton, but more recently moving to Birmingham, this charity now includes a wide range of worship leaders, many who have benefited from their own time training with the organisation. Not only has Worship Central inspired a whole generation of worship leaders in the UK, but it now has a global reach with representatives and initiatives in many different countries around the world. 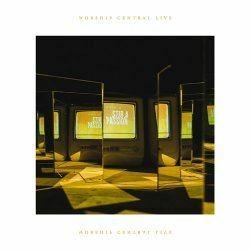 Worship Central is about worship as an interaction between the people and God, so it is no surprise that this album is a 'Live' recording. "Stir A Passion" starts with "Pray" which is a song that echoes much of the familiar Lord's prayer. It's a good opener for the album, although it doesn't really cover anything new, but it's an up to date refresh of a regular church worship theme, so it's never going to be irrelevant! "Majesty (O The Mystery)" keeps the upbeat feeling already developed by "Pray" and brings a song which expresses how awesome God is and how we are unable to really understand everything that God is and does. There are a couple of instrumental sections which allow the electric guitars a little bit of life, this is between the repeated choruses towards the end of the track. The title track knocks things back to a more reflective place. Here the live element really kicks in with the opening lines started by Josh Gauton and the congregation taking the repeated lines. 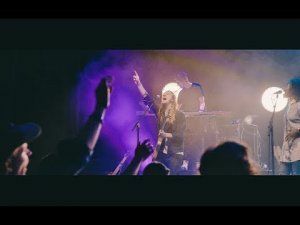 "Stir A Passion" is actually quite a simple song asking God to revive us in our love for Him and our faith, despite the simplicity - or maybe because of it, this song is well presented and is easy to join in with. The chorus sticks with you and if you cannot think of any other lyrics then this is a good line to remember! So far these songs have lacked some gravity and depth, that changes with the incredibly moving "All For Love (Gethsemane)" which considers the suffering of Christ and the mental anguish of Gethsemane and the love that it took for Jesus to still submit to God's will. It brings this sobering song back to a place of praise and worship, this change is not easy in a song like this, but keeps it from being joyless and sombre. So far this is my favourite track! From here the next track is a spontaneous time of worship which sounds a bit familiar, especially on the intonation of the name, Jesus. We continue in a medium tempo track which keeps us at the cross and our worship because of what happened there, this is "Praise The Lord (Evermore)". This song has been around for a couple of years as it was one that featured on "Mercy Road" the studio recorded Worship Central album from 2016. This extended version has some spontaneous worship taking the running time of this track to over 7 minutes. With that we flip to something that is like a skimming stone, it bounces along over the depth of the songs that have gone before. It's a simple electro-infused worship song which talks about God's faithfulness, but doesn't carry itself as well as some of the early tracks. "Glory To Glory" is a bit too repetitive for my liking, but that could be aimed at a few songs on this release. I think it's more noticeable here with a 6 minute track length, thankfully though we do get more congregation input which is always nice to hear on a 'live' recording. "O Lord We Seek Your Face" also brings the live element as it is skilfully led by Anna Hellebronth, it's a great song, but the way this song is recorded the congregation continue the song when the worship leader stops. "Waves" is a calming song which is just great to sit and let it flow over you. It's only got a few lines but the musical ability surrounding it does make it feel like more of an experience. The album rounds out with the Tim Hughes track "Hope and Glory" which is nice and familiar, meaning that even on the first listen through you are left with something at the end you can sing along too. The thing that makes this album stand out isn't the songs, well not as such, some of them are certainly better than others. What makes the album stand out is that it actually feels like a truly live experience, where the congregation is included as much as those at the front. There are talented worship leaders here, people like Tim Hughes, Josh Gauton, Luke Hellebronth and others but the worship is the focus and when it comes to step aside and let the people worship they do just that. A good worship leaders job is to bring people into the presence of God and allow people to stay there. So often worship tracks on live albums have to be cut back to a certain time, there is no chance to dwell in the presence, which gives us an unbalanced view that worship is all about us doing, sometimes it should be about us doing nothing and waiting. This album starts to redress this balance and that is why I enjoy it, despite not being a huge fan of all the songs. While some of the songs are a bit light, these are counterbalanced by some deeper songs like "All For Love (Gethsemane)" and "O Lord We Seek Your Face". If you want an inclusive worship experience then Worship Central's "Stir A Passion" is an album for you!